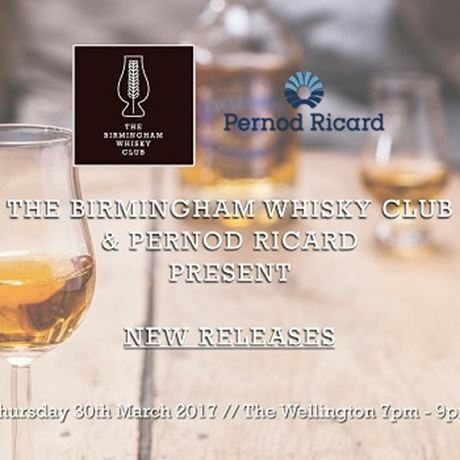 The Birmingham Whisky Club and Pernod Ricard would like to invite you to to join them at The Wellington on Thursday March 30th 2017 for 'New Releases'. Learn about these new, delicious whiskies, the history of the brands and taste through a selection of their delectable drams. Pernod Ricard is the number one in premium and prestige spirits in the world. With great brands such as Chivas, The Glenlivet, Scapa and Longmorn under its belt, it's easy to see why. For this tasting we'll be exploring some of the newer releases from the brand and learning more about these delectable drams. 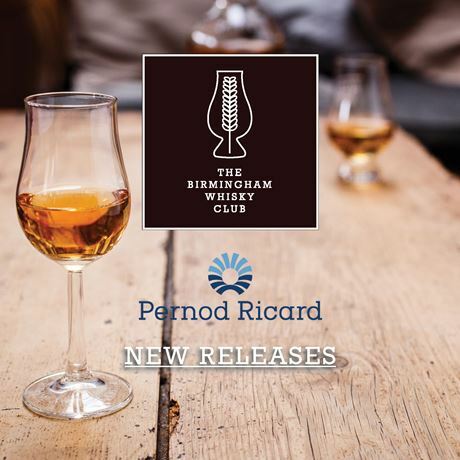 Learn more about these whisky icons with Phil Huckle, whisky expert and UK Brand Ambassador for Pernod Ricard and taste through a delectable selection of five drams. With this fantastic line-up, we can guarantee you're going to fall in love. Tickets are just £25 (£20 for members of The Birmingham Whisky Club) to taste through this fantastic line-up. 7pm – Tasting begins. You will be led through a selection of different drams by the experts from Pernod Ricard and get a chance to ask all of your burning questions throughout. 9pm – Although the tasting is over, please feel free to stick around. Anything you were afraid to ask? Grab our residents experts and have all of your queries answered. No food will be provided during this event. No refunds or transfers. Events is strictly over 18s only. Tickets are sent in e-ticket format. Please bring a print out of these or have them ready on your phone/tablet for scanning on the day. *To order your Birmingham Whisky Club member ticket and claim a fantastic £5 off, please enter your code on your membership letter in the 'promotional code' box in Eventbrite. If you need assistance, please email us and we will be happy to drop you a reminder. One discounted ticket available per member.